Dated 12 November 2018: I've started watching the most popular anime in the world: Goblin Slayer! This is the highlight of Goblin Slayer! thus far. I watched the first episode of Goblin Slayer! when it first aired, found it to be a straightforward adaptation of the manga (it was toned down a bit, honestly), and decided not to watch more. After all, I had only read about a volume or so of the manga before losing interest. (I've never read any of the original light novel.) 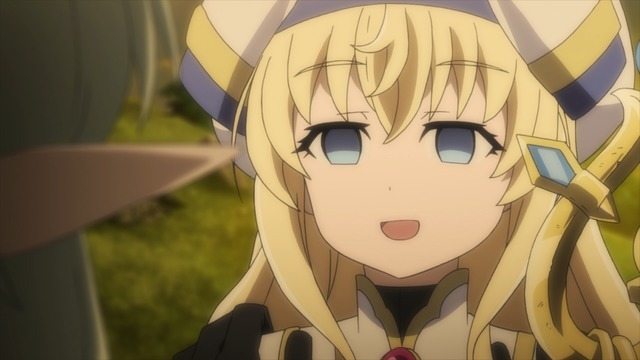 Somewhat predictably, that episode's content generated a lot of discussion on the Information Superhighway about Goblin Slayer! and its relative merits (or lack thereof). The reactions I saw on the Twitter, at least, were almost uniformly negative. Dated 11 March 2001: Originally posted "March 11, 19101"
Good news for you losers without DVD players - "Princess Mononoke" is now available on VHS. Buy this movie now. Dated 16 February 2001: Originally posted "February 16, 19101"
"Princess Mononoke" will be available on VHS for purchase in North America beginning March 13 this year. It is currently available to rent on both VHS and DVD, and available for purchase on DVD. Mark your calendars, eh. "Kiki's Delivery Service" is already available on VHS in both dubbed pan & scan and subtitled widescreen.